Russians should be thankful to their first President Boris Yeltsin because the country did not turn off the path of change, Dmitry Medvedev has said. ­The Russian president on Tuesday attended a ceremony marking the unveiling of a monument to Yeltsin who would have turned 80 on Tuesday. The memorial was erected on the street named in honor of the former Russian leader. Yeltsin’s presidential center is being constructed nearby. Despite the difficulties, Russia went through transformation under Yeltsin and is now moving forward, Medvedev said. 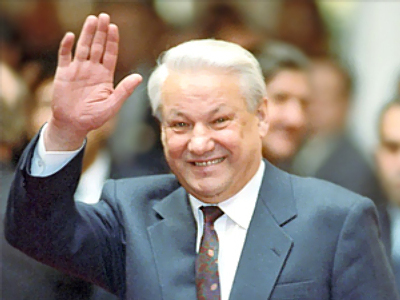 He believes Yeltsin’s merit and that of those who helped him build the new state is that Russia is a modern country now. It is developing, even with problems. 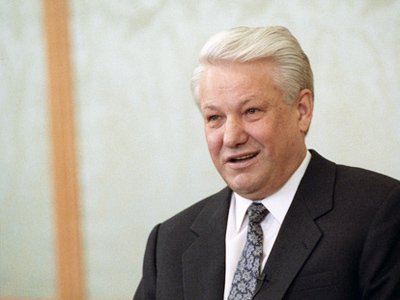 During the Yeltsin time “foundations were laid on which our state is based,” he noted. Russia had been looking forward to great changes to its economic and political system, but nobody expected them to be so dramatic, Medvedev said. 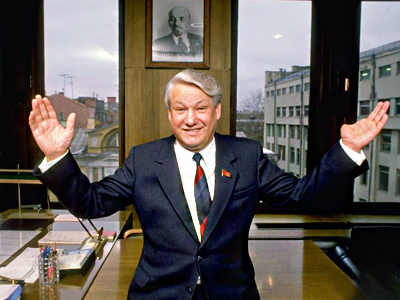 He described Yeltsin’s reforms as painful, but necessary, and stressed they had been carried out despite difficulties. The present Constitution “of the modern and strong state,” was also adopted at that time.